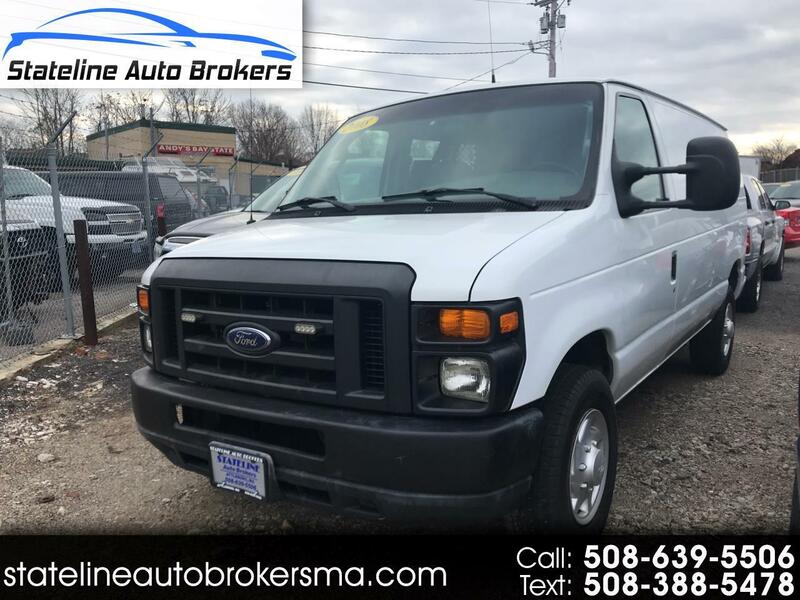 ARE YOU LOOKING FOR A SUPERDUTY CARGO VAN? WELL LOOK NO FURTEHR, YOU FOUND IT! THIS NICELY EQUIPPED E350 HAS THE BINS AND RACKS INSIDE SO IT IS READY TO EARN YOU SOME $$!! AT THIS PRICE IT WONT LAST. COMPARE TO OTHER PRICES. COME ON DOWN, BRING THE FAMILY. YOU WILL NOT BE DISSAPPOINTED! NO REASONABLE OFFERS WILL BE REFUSED. WE ARE HERE TO BUILD SOME GOOD RELATIONSHIPS AND SELL SOME CARS. MANY FINANCE OPTIONS ARE AVAILABLE. TRADE-IN'S ARE WELCOMED. We price cars to sell here at Stateline Auto Brokers. All cars sold here at Stateline Auto Brokers leave here fully serviced, reconditioned, inspected and warranteed. We offer extended warrantees up to 48 months and unlimited mileage. We have all kinds of finance options for your convenience. And remember, The Prices Were Born Here And Raised Down The Street! Message: Thought you might be interested in this 2008 Ford Econoline Cargo Van.